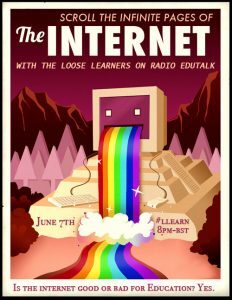 Radio #EDUtalk 03-05-2017 Loose Learners Ep 3: We Brag! On the first Wednesday of May we broadcasted our third episode of ‘Loose Learners’. 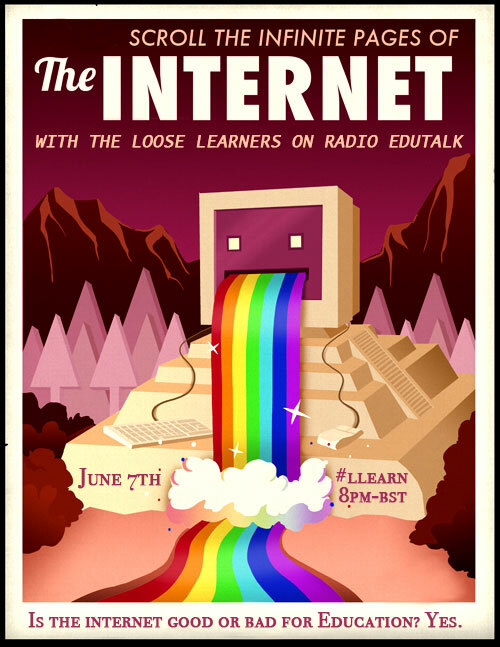 John Johnston is a primary school teacher in Scotland and Mariana Funes is a Psychologist teaching in higher education and we explore issues that we find interesting and that we feel affect those of us using the web for educational purposes in some way. We run the live show the first Wednesday of each month. The next show is planned for June 7th 2017 at 8pm BST. We thank @Zeynep for the original take on our new tagline: ‘It the Internet Good or Bad for Education? Yes.’ We look beyond easy answers and do our best to look behind technological solutionism. On today’s show: We brag! Most of this episode meanders on the topic of Sharing, Bragging, Selling and Self Promoting; an article by Dean Shareski that ponders on the differences between sharing and selling. 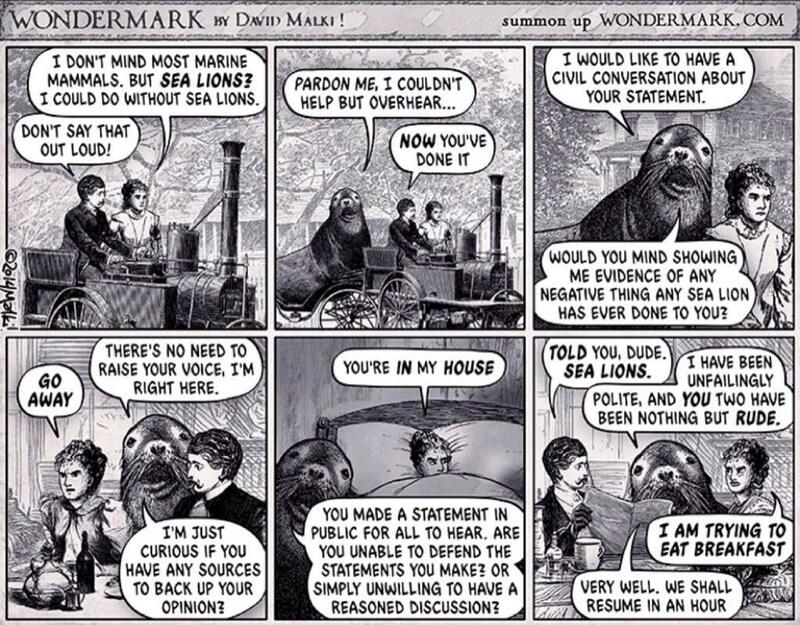 “When you share to be acknowledged or praised or get something in return it makes sharing something ugly.” Or does it? Is it okay to blend both and blur the lines? We explore these ideas and wonder if the sense of ‘ugly’ comes from the personal choices we make about the conversational strategies we use on Twitter. When these clash with people you do not know, we may see their behaviour as ‘ugly’ or vice versa. Maybe being thought a braggart is no longer the barrier it once was? Where do you stand on retweeting folk who say something nice about you? Do you tweet saying thanks? How often do you tweet a blog post? Do you think about popularity of tweets? An underlying idea we explore is whether ‘sharing’ is being redefined as ‘selling’ and if that matters. Intention seems relevant though hard to gage. We felt that academic sharing as professional development was not the same as selling ourselves as consultants or keynote stars, these two activities should be separate. Others may disagree. One of the comments on Shareski’s article illustrates the issues simply: “ Why am i sharing this? If the answer is: to get retweets, likes, acknowledgment, praise or money, perhaps you’re not sharing.” Perhaps there is a strategy implicit in this that says: Let’s call things what they are and not redefine words to make ourselves feel better! But this simplicity also obscures the psychological reality of motivated reasoning and how good we are at lying to ourselves! We decided to continue with this this topic in the next episode as there is so much written about it and we have some interesting research for the June episode that will suggest you should get others to retweet for you in order to get more of those likes. This episode also briefly mentions Mastodon and Micro Blog as alternatives to Twitter. Do these embed the same bragging dynamics? 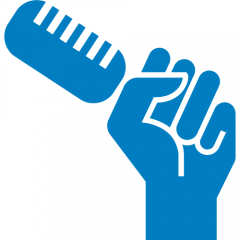 The same blurring of the line between selling and sharing? Just more words allowed? We continue the conversation in June and look forward to your likes on Twitter 😉 Enjoy this episode. Thanks for the conversation. This is one of the benefits of blogging. My very sketchy thinking was made better by this discussion. You both raise some really critical points which clarified things greatly. Much appreciated.